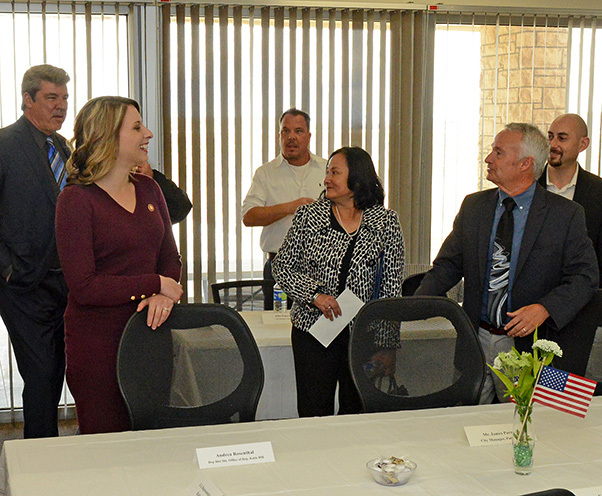 U.S. Congresswoman Katie Hill (left) is welcomed by U.S. Air Force Plant 42 director John Esch Feb. 21. The newly elected congresswoman was given a tour of the sprawling facility in Palmdale, Calif.
Members of U.S. Air Force Plant 42 in Palmdale, Calif., and the 412th Test Wing hosted Congresswoman Katie Hill for an informational tour Feb. 21. The newly elected Hill was accompanied by members of her staff and representatives of Palmdale. 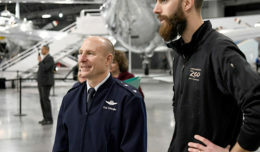 Before being driven around the sprawling facility, the congresswoman was given an overview of Air Force Plant 42’s mission and purpose by John Esch, Plant 42 director. 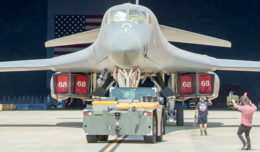 The plant is home to some NASA operations, large contractors such as Northrop Grumman, Lockheed Martin and Boeing, and employs about 9,000 people, making it one of the largest employers in the Antelope Valley. U.S. Congresswoman Katie Hill and her staff board NASA’s flying research telescope aircraft SOFIA, which stands for Stratospheric Observatory For Infrared Astronomy. The newly elected congresswoman was given a tour of U.S. Air Force Plant 42 facilities Feb. 21. “It truly is a national treasure,” said Esch. The 412th Test Wing Operating Location at Air Force Plant 42 provides command and control of the airfield complex and industrial facilities for production, modification, depot maintenance and flight test of U.S. aerospace systems. 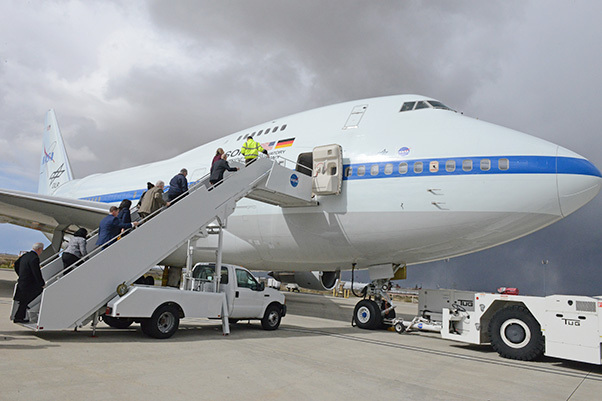 Hill visited several sites on Plant 42 and had the opportunity to go aboard NASA’s flying research telescope aircraft SOFIA, which stands for Stratospheric Observatory For Infrared Astronomy. Hill represents the 25th Congressional District in California, which includes the Antelope Valley, Santa Clarita, Simi Valley and northern part of the San Fernando Valley.